Her smile is wide and welcoming, posture strong yet elegant, and she seems immediately comfortable as we sit down and exchange a few words before the show. But it is also clear from the moment we first shake hands and introduce ourselves in the CliffCentral common room that she is feeling a little nervous, edgy, or perhaps apprehensive. I’m usually quite good at reading people but I can’t put my finger on it. As we make small talk while we wait, she shares some “down the middle” answers that prompt me to ask her to not be so politically correct. With a small nonchalant laugh she promises to not be. Now, in studio, as I introduce her on air, she bows her head slightly, listening carefully to make sure I get everything in but clearly grateful and humbled for all she has. I announce: “Our guest today is an Archbishop Tutu African Oxford Fellow. Last year she won the Top South African Young Woman Entrepreneur award for Women Empowerment; AND was honoured as THE South African Youth Entrepreneur at the South African Premier Business Awards hosted by the DTI, Proudly SA and Brand SA. She is the Co-Founder of the international climate youth network, Generation Earth which works closely with United Nations Environment Programme across Africa. Last year, Generation Earth received the Mail & Guardian Greening The Future Award for work done across South Africa. This young women has shared global platforms with Heads of State, Activists, International Business Moguls, Celebrities, Sports Stars and Freedom Fighters, ensuring that, along with these, the voice and opinion of the youth of Africa is heard. She is the LEAD SA Executive, working on several campaigns and initiatives, and always promoting Active Citizenship in our country. And she is also Executive Director of Miss Earth South Africa. What I am not going to do in this column is regurgitate the show. 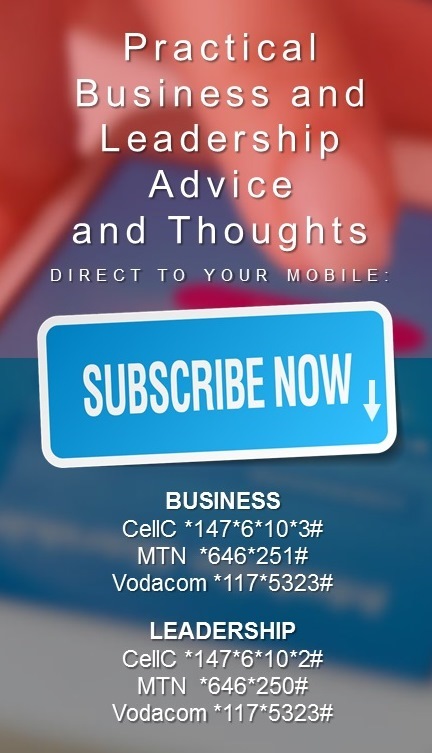 If you would like to listen to it, here it is above or you can download it from CliffCentral.com. Rather, I want to share with you some of the takeaways and impressions I had while listening to and discussing leadership with Catherine. She wouldn’t share her age, saying “People have this misconception that if you’re young, you’re not capable of certain things and I have fought this my entire life.” And she seems to have fought it for good reason, she continues, “…being young, my experience is that as soon as you tell a person your age, the very idea they thought was brilliant just 10 minutes before seems no longer to be.” It seems ridiculous that this would be the case but sadly seems to be true at the same time. Grant Pattison, the outgoing CEO of Massmart, during our time with him on a previous show said very directly that we must stop thinking young people cannot be millionaires or even billionaires, because many are already. While some may appear to have it all and be living the dream, I put it to you today that each one of the variables in the above formula is active in these individuals’ lives in one form or another, and the successes we envy come at a cost that, from a third party perspective, may be difficult to see and is often even more difficult for them to bear. Catherine confessed that she barely sleeps, and that there are things in her life that she must sacrifice in order to fulfil her various responsibilities and lead the life she currently does. Ultimately though, she determines the amount of passion, focus, and sacrifice she is willing to give by deciding what her “success” is. And so do we. True leadership is more often than not a long and lonely journey, exceptionally rewarding, but reserved only for those willing to pay the price. Catherine also shared that she always tries to stretch the boundaries of her comfort zone. While doing that, we are bound to make mistakes, misplace our trust, have errors in judgement, and sometimes find egg on our faces. More and more I am coming to realise that really living life and true leadership is about risking all these things, and valuing the lessons that sometimes can only be found in the challenges and obstacles that face us on that road. It seems as if we must welcome obstacles and embrace risk if we are to lead a life worthy of being called a leader. What I mistakenly thought was perhaps nervousness when I first met Catherine actually seems to be an underlying energy and anticipation for what the next moment and experience she is engaging is going to bring. She is a remarkable woman, who has been able to, in many ways, become one of those people where the world is their play-place, their oyster, subject to their influence and desires. And in a world where so many are beaten down by the winds of change and storms of uncertainty, this is a wonderful thing to see. In many ways this may be the reason Catherine is where she is and is considered by many to be such a wonderful leader – because she personifies a hope and vision for a brighter and better tomorrow while enthusiastically tackling today. Whatever it is, there is no doubt that she was one of those who Margaret Thatcher, the renowned British Prime Minister and leader, had in mind when she shared these words: “If you want something said, ask a man. If you want something done, ask a woman.” Catherine is a leader entrepreneur extraordinaire and I am excited to see where she goes next and how she is going to impact all of our lives while there.